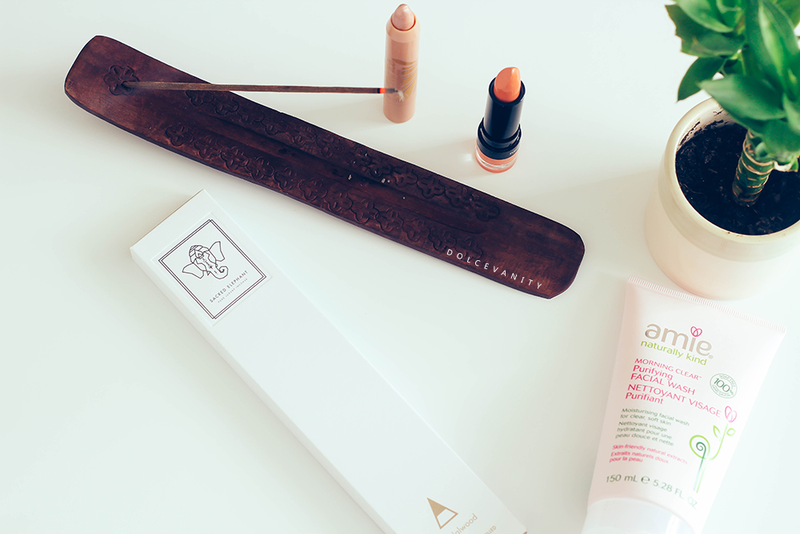 The first TheVeganKind beauty box of 2016 and it's a gorgeous box. Has a variation of items and I love, love, love. From skincare, to makeup to the mind and soul. Probably my most favourite beauty box yet. Natural plant and botanical extracts leave this free from chemicals, making it good for all skin types and especially sensitive skin that can be prone to reactions. Even though this says morning clear, it can be used day or night. With a 15% moisturising formula the skin won't feel tight or dry after use. This has Mayblossom and elderflower that'll help to control oiliness and prevent blemishes. The orange blossom and raspberry tone and refresh. The consistency is thick like a cream, it's not a fluid. It's gentle on the skin and definitely didn't leave it feeling dry, has a refreshing scent to it, I can smell the raspberry quite a bit, not a bad thing. 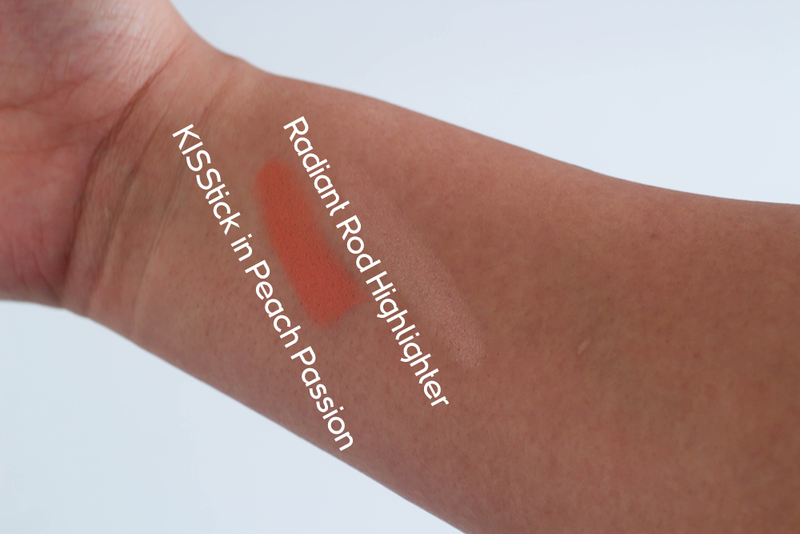 Creamy but pigmented lipstick, this shade is called Passionate Peach it has a nice, with yellow undertones making it great for warm undertones - hello perfect! Apply with a lipstick brush for precise and a buildable application. Kiss Cosmetics is changing their name to Saturated Colour and also this KISStick will be changed to LIPSStick. Although this is still carrying the previous names the brand is letting you know that the products will remain the same! I've never tried anything from Kiss Cosmetics and another affordable brand with most things being under £10, it'll be interesting to see the brand grow. Who doesn't like to be a golden goddess and I think I need to pay a lot more attention to the Barry M brand being that they're cruelty free & majority vegan. This smooth, creamy and dewy highlighter is soft and easily blendable, as it's blended out there's little flecks of glitter. God I can't wait to break out the tan and sparkle and this affordable highlighter is a recommended addition. With candles being vegan, I never thought about incense sticks. I love incense sticks and these are made using only natural essential oils and resins, with various scents - I've got one of my favourite scents Sandalwood. Also knowing that these are made by hand from the production of the scents to the final rolling of the sticks. 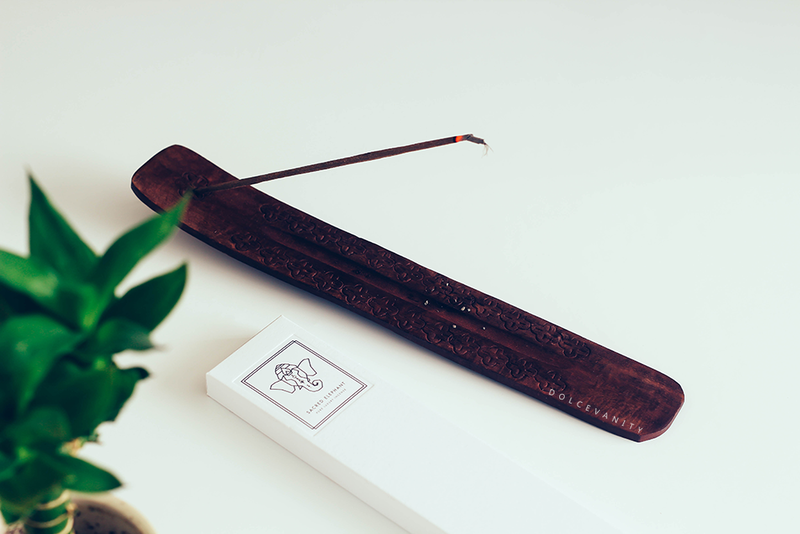 It's quite personal in that sense and it looks pretty nice in this floral engraved wood incense holder. Btw did I mention that it's owner is a former monk of 18 years. I liked this box, it had key things in it, lipstick, highlighter, facial wash and some incense sticks. The shades are ideal for the upcoming months. The incense burns beautifully and roughly last 40 minutes but the smell lingers and is uplifting, so anyone that knows me, you know what you're getting for gifts this year, right?